The new year is calling for action, (out with the old and in the new) right? 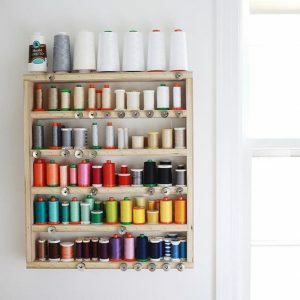 If you own a sewing machine you may not want to get rid of that ever growing pile of fabric, aka (stash) or all of those WIP’s. 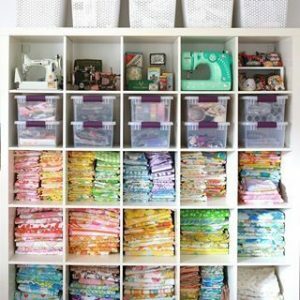 You just need to get organized! 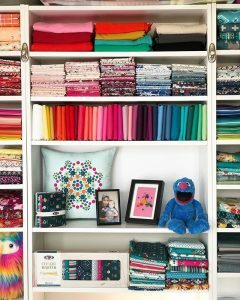 The following Sewcialites have created spaces worth sharing. 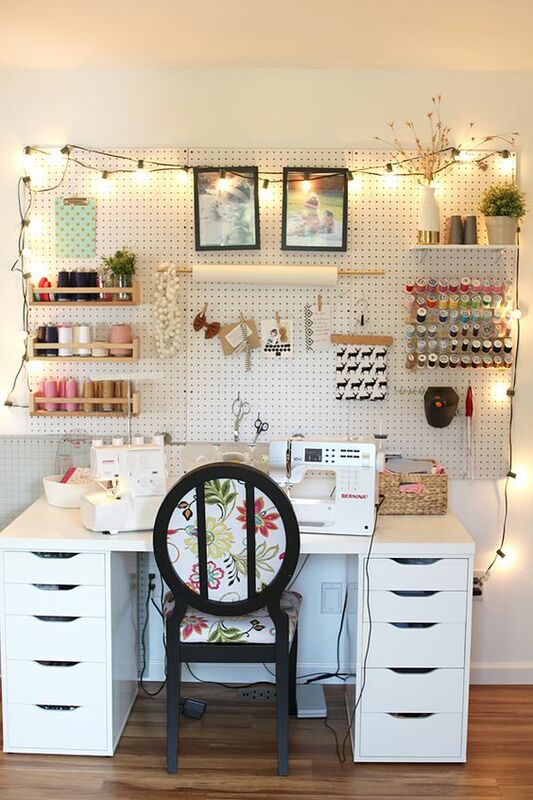 Get inspired and take your own creative space from drab to FAB. Jeni Baker makes it light and bright with In Color Order. 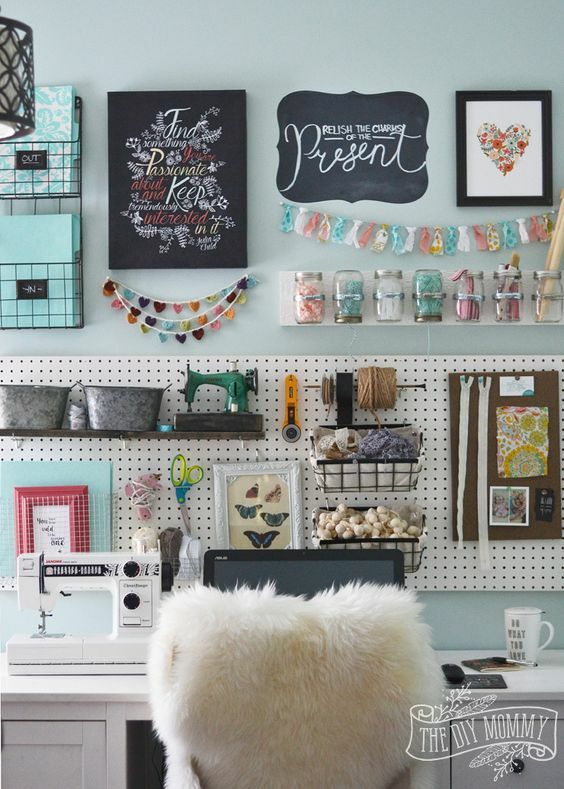 Pegboard is the highlight of this space. Decorated with plants, pics, and lights makes it festive and personal. 5. Small space? No problem! 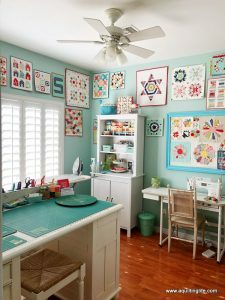 Check out our Sewing and Craft Rooms board on our Pinterest page for more inspirations and ideas on how you can organize your own space.